En-Ce Designs is a small design studio which specialises in residential design and utilises the experience, skills and imagination of both senior and junior architectural graduates . Working in a relaxed and intimate environment we aim to achieve innovative, contemporary design that develops building forms responsive to site, climate and brief and reflective of current lifestlye. 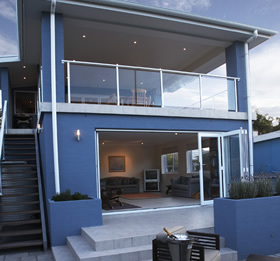 The studio originally based in the southern beach suburbs of Sydney, was established by Nicole Chambers ( principal ) in 1998 after completing her Bachelor of Architecure Degree from UNSW with honours. 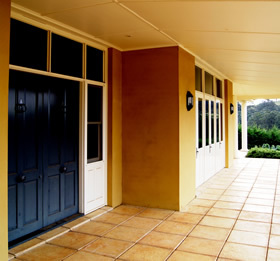 Moving to the Southern Highlands in 2003 and establishing the new studio, we expanded our residential scope to include design for both town and country dwellings. Our work has taken us from Sydney to Tweed Heads, from Bowral to the South Coast and range from small simple projects to large scale rural developments. Having gained much experience and exposure to the possibility of design over the past years, working both independently and for other firms, we now pride ourselves on being able to offer our clients a design based residential studio, which is enhanced by our local knowledge of the climate, town and rural lifestyle and local legislative controls.